A Southern California native, Paul Ferguson has enjoyed a 30-year career in public higher education as a professor in the field of toxicology/public health and as a university administrator. Prior to coming to Biola University in 2016, Ferguson served in leadership roles at five universities including as president of Ball State University (2014–16), president of the University of Maine (2011–14), provost and vice chancellor of Academic Affairs at Southern Illinois University Edwardsville (2006–11), vice president for Research and Graduate Studies at the University of Nevada Las Vegas (1999–2006) and vice provost and dean of Graduate Studies and Research at the University of Louisiana, Monroe (1993–99). Ferguson began his academic career as an assistant professor of toxicology in the College of Pharmacy and Health Sciences at the University of Louisiana, Monroe, eventually rising to professor and chair of the Division of Pharmacology and Toxicology before assuming senior leadership responsibilities. Commensurate with advancing in the administrative arena, he served in joint faculty appointments including professor of biology and toxicology at UNLV, professor of toxicology and environmental sciences at SIUE, and professor of biomedical sciences at the University of Maine. 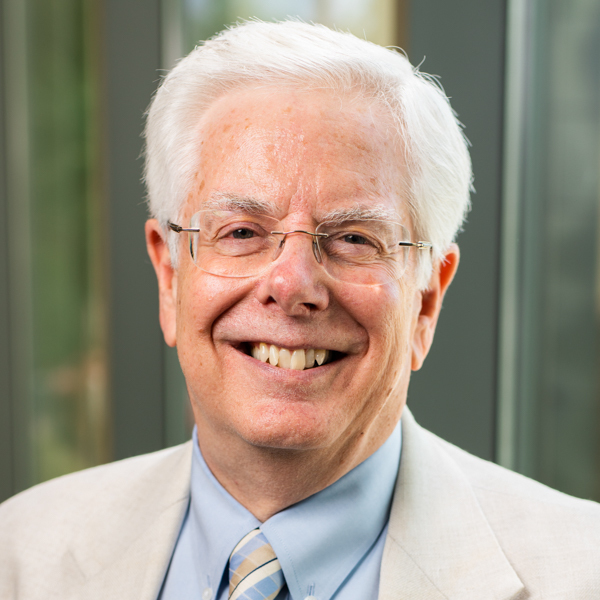 Throughout his career Ferguson has maintained a consistent commitment to scholarship through writing and publishing in scientific and higher education literature, as well as teaching selected graduate and undergraduate courses in higher education leadership, toxicology and public health. Ferguson also served in the corporate sector as a research biologist for Pennwalt Corporation (1974–76) and as senior toxicologist for Unocal Corporation (1984–88). Ferguson has been blessed to facilitate the renaissance in Christ-centered STEM excellence within the School of Science Technology and Health at Biola University. Honorary Membership in the Golden Key International Honor Society; nominated by student members for service and support to the academic success of students at Southern Illinois University, Edwardsville. 2009. Faculty Member of the Month; awarded by the Residence Housing Association for commitment to inspiring and supporting students in the academic environment at Southern Illinois University, Edwardsville. 2008. The Ferguson Fellowship; established by the UNLV Graduate College for the support of a masters or doctoral student with demonstrated excellence in research and scholarship. 2006. Presidential Citation for Long-Standing and Meritorious Service to the University of Nevada, Las Vegas (UNLV). 2006. Habitat for Health Award; given by the UNLV Health Promotion Graduate Program for dedication to the principles of health promotion while providing mentorship or exemplar status for others. 2001. Presidential Citation for Exemplary Leadership and Extraordinary Service to the University of Louisiana, Monroe. 1999. Inclusion into Who’s Who in Pharmacy Higher Education. 2009. Grand Prize Award for Res Scholaris, Council for the Advancement and Support of Education (CASE) Annual Meeting (Photographic Design). 1999. Grand Prize Award for Res Scholaris, Council for the Advancement and Support of Education (CASE) Annual Meeting (Scientific Feature Writing). 1997. Award of Excellence for Res Scholaris, Council forThe Advancement and Support of Education (CASE) Annual Meeting (General Writing). 1996. Teacher of the Year, College of Pharmacy and Health Sciences, Northeast Louisiana University. 1992. Outstanding Faculty Member, College of Pharmacy and Health Sciences. Award by the Residence Hall Association, Northeast Louisiana University. 1991. Researcher of the Year, Northeast Louisiana University. Award sponsored by the Northeast Louisiana University Alumni Association. 1990. Outstanding Faculty Member, College of Pharmacy and Health Sciences. Awarded by Omicron Delta Kappa (Honor Society at Northeast Louisiana University). 1990. Researcher of the Year, College of Pharmacy and Health Sciences, Northeast Louisiana University. 1990. Outstanding Faculty Mentor, College of Pharmacy and Health Sciences. Awarded by the Mortar Board Society (Honor Society at Northeast Louisiana University). 1989. Council of Graduate Schools (CGS) Summer Workshop Plenary Session, Quebec, Canada. Presented on “Making the Case for Graduate Education with your President and Board.” 2015. The Foundation Leadership Forum, Association of Governing Boards (AGB), Naples, FL. Presented on “Making Informed Decisions Regarding Environmental, Social, and Governance Investing.” 2015. The Presidents’ Climate Leadership Summit, Boston, MA. Presented on “Creating a Campus Culture of Sustainability.” 2014. Association of Public and Land Grant Universities Annual Meeting, Washington, D.C. Presented on “Strategies for Improving the Capital Infrastructure, Targeting and Securing Financial Resources.” 2013. American College and University President’s Climate Commitment Steering Committee Meeting, Portland, OR. Presented on “A Sustainability State of Mind: Smart Growth for UMaine as a Green Campus with Blue Sky Thinking.” 2013. New England Board of Higher Education Regional Meeting, Boston, MA. Presented on “150 Years After Morrill: New Models and New Expectations-Redefining Higher Education’s Role in Local and Regional Economic Impact.” 2012. Illinois Philosophical Association Annual Conference, Edwardsville, IL. Presented on “A Toxicologist in the Land of Philosophers: Introductory Comments Revisiting Socrates and Hemlock.” 2007. Nevada Public Health Association Annual Meeting, Las Vegas, NV. Presented on “Public Health Education and Training in Nevada.” 2003. Best of the New West Entrepreneurship Public Policy Forum, Incline Village, NV. Presented on “The Emerging Role of Technology Transfer in a Rapidly Developing Research University.” 2003. Nevada Alliance for Defense, Energy and Business, Las Vegas, NV. Presented on “UNLV as an Engaged Research University.” 2003. Introduction to Pharmacology in Speech-Language Pathology; Drug Induced Hearing Impairment (3 hour Module). University Presidential Leadership (1 credit seminar). Advanced Directed Study (1-3 credits). General Toxicology (3 credits) and General Toxicology Laboratory (1 credit). Industrial Hygiene I (3 credits) and II (3 credits) and Industrial Hygiene Laboratory (1 credit). Clinical Chemistry and Toxicology (3 credits). Analytical Toxicology (1 credit) and Analytical Toxicology Laboratory (3 credits).